Arts and music venue finds new home in Adair Park mixed-use redevelopment project following closure of its original downtown outpost. Mammal Gallery is reopening in the MET, Developer Carter Tuesday announced in a press release. It will occupy the blue water tower that overlooks the Adair Park mixed-use redevelopment project as well as a 6,100-square-foot warehouse space adjacent to the tower. Mammal Gallery will transform the warehouse space into a music and performing arts venue that will feature a wide range of programming. 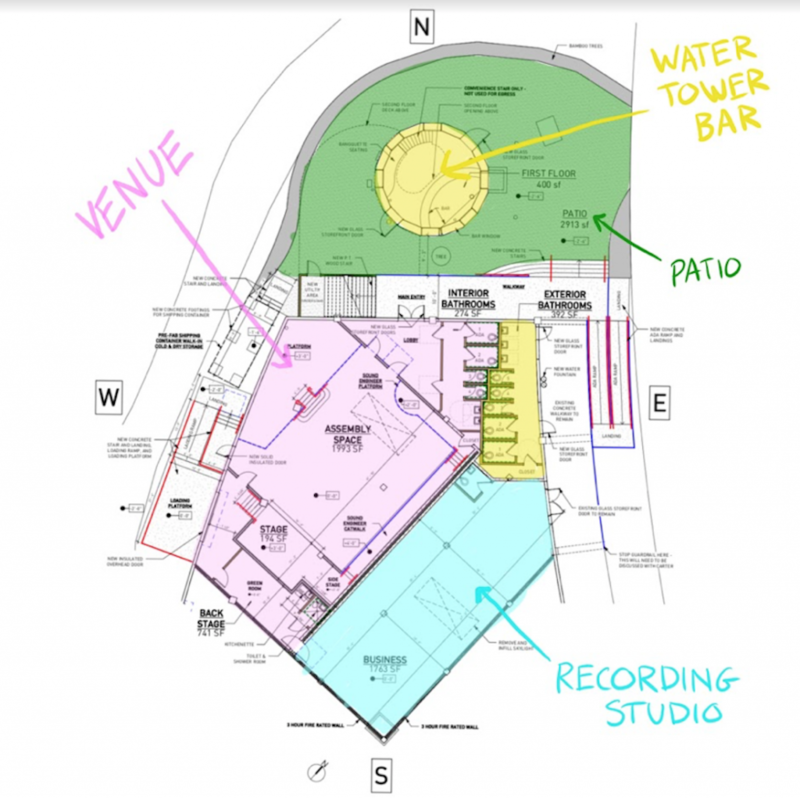 The venue will also be fully integrated with a recording studio run by Jason Kingsland and Zach Pyles. The MET’s water tower will be converted into a two-story coffee and cocktail bar with an outdoor patio space designed by Wrong Studio and programmed by Isabella Cornwell of 8 Arm and INK. The bar will be one of only two bars to exist within a water tower worldwide, according to the press release. The space will serve customers during regular business hours and will also service Mammal’s music venue. 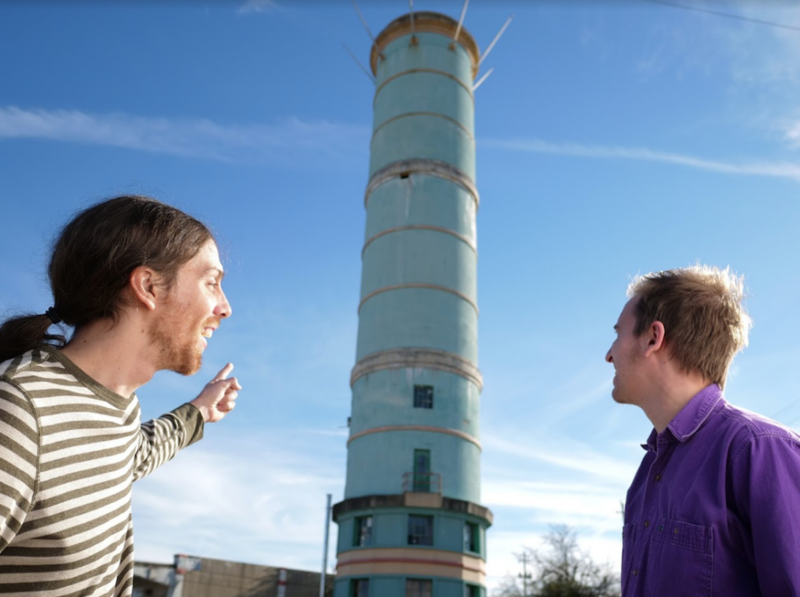 Artist and previous tenant of the tower, Mitch Cherry, is partnering with Mammal to collaborate on programming and assist in maintaining environmentally sustainable bar and venue practices. “Mammal Gallery embodies the richness of Atlanta’s artistic and cultural community, and we are excited to have them join the family of artists and makers at the MET,” Adam Parker, Director at Carter, said in the release. Previously located in Downtown Atlanta, Mammal Gallery closed the doors to its Broad Street location and announced its plans to relocate last March. As build-out of its new space progresses, Mammal Gallery will occupy a temporary space at the MET beginning in April 2019, where it will curate events ranging from art installations to concerts. Mammal’s permanent location is estimated for completion by March 2020. 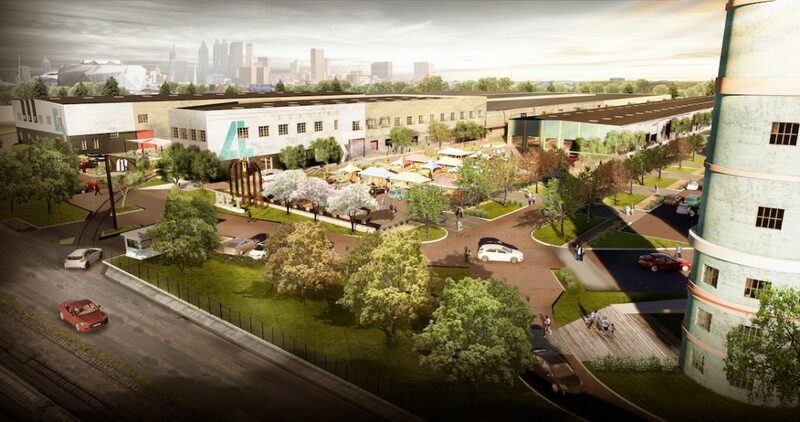 Mammal Gallery is fundraising start-up capital for architectural plans and permitting. Previously known as The Metropolitan, the MET is a 1.1 million-square-foot property, adjacent to the West End MARTA Station, situated between Murphy Avenue and Metropolitan Parkway. In June 2018, Atlanta-based Carter purchased the property and a renovation effort is currently underway. The MET is home to more than 150 tenants and is currently leasing spaces that range from 1,000 square feet to over 100,000 square feet of office, creative, maker, retail, residential and event space. string(40) "675 Metropolitan Pkwy, Atlanta, GA 30310"